Royal Challengers Bangalore is one of the widely followed teams in the IPL yet it’s a world known fact that it’s an underperforming team. Each year, they are believed to be strong and one of the contenders. But they end up disappointing the fans. RCB needs to do something different to win the first title. Before the IPL 12 starts let’s have a look at the Pre-Tournament Best XI for Royal Challengers Bangalore. In the auction for IPL 2019, RCB made their first purchase by roping in Windies’ batsman Shimron Hetmyer for INR 4.2 crore. Also, they spent INR 5 crore on the big-hitting Shivam Dube. The Bangalore-bases franchise has always been batting-heavy. However, RCB invested well in the all-rounders’ department. Their bowling also looks decent this year. RCB might face problem in deciding who will open the innings since they released Brendon McCullum and traded Quinton de Kock with no proper replacements. If the captain Virat Kohli opens the innings, then it may not be the best thing for the team. Since he is the pillar of the batting line-up and it would work well if he bats till the end. Someone should take care of the powerplay overs with Parthiv Patel. Kohli, who now has 3525 runs, is now only behind MS Dhoni (3683 runs) in the list of captains with most runs. He remains the only player in the IPL to have been with the same team since the inception of the league in 2008. Bought by RCB as an under-19 star 11 years ago, Kohli has gone from strength to strength over the last decade. After a modest start, Kohli reached his peak in 2011 when he smashed 557 runs from 16 matches. In 2013, he was handed over the RCB captaincy and he celebrated by scoring 634 runs from 16 matches, In 2015, Kohli hammered 505 runs from 16 matches. However, the breakthrough year came in 2016 when the right-hander hammered a record 973 runs including four hundreds. He also hit seven fifties as RCB stormed into the final only to lose to Sunrisers Hyderabad. The RCB camp would dearly love to see their leader with similar returns this year. Another big gun in the line-up is AB de Villiers. Although retired from international cricket, he is still one of the world class batsmen. On a good day, AB can single-handedly win you matches. He can switch from classical batting to playing more innovative strokes and that sets him apart from most batsmen. For RCB, de Villiers has played many eye-catching innings. 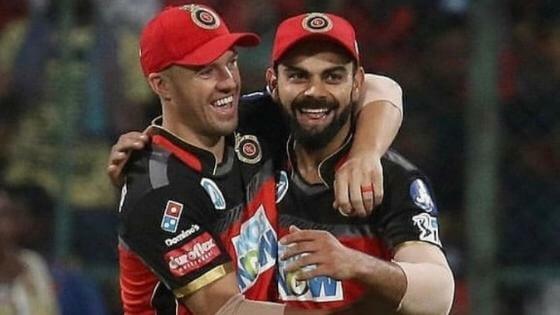 With Virat Kohli, AB has posted five 100+ partnerships for RCB and two 200+ partnerships, the only pair in the league with such a record. When Kohli and AB bat together, there isn’t a more pleasing sight for any cricket lover. Marcus Stoinis, Shivam Dube, Shimron Hetmeyer will add to the strength during the slog overs. Batting has never been an issue with RCB. But their bowlers have let them down over the year. Last year, Washington Sundar failed to deliver as he bowled with an economy of 9.60 and took just 4 wickets in the seven matches he played. Although he was unsuccessful last season, RCB needs his service this year to help Yuzvendra Chahal who has been carrying the baton alone. Chahal is one of the few spinners who can bowl in the powerplay too. If RCB has to even think of winning this edition, it is a must for the leggie to rock with the ball, along with Virat Kohli and AB de Villiers with the bat. A 28-year young talent, Chahal, has remained the stand-out bowler for RCB throughout their IPL journey. He led the bowling department from the front whenever needed. Talking about the fast bowlers, Umesh Yadav looks scary when he bowls in the powerplays, compared to his death bowling performance. His performance in the recent T20 against Australia says it all. He conceded just 21 runs in his first 3 overs but was unable to defend 14 runs in the last over. However, Nathan Coulter-Nile provides some confidence as he is a skilled bowler at the death.